We talk a lot about spirits over here — whiskey, bourbon, Scotch, rum, the shopping list could go on and on — but there's one spirit that we've yet to fully appreciate: vodka. That is, unless we're gaping at the latest flavored vodkas to hit the shelves. While most people tend to stick their nose up at the vodka bottle, we're finding a new reason to appreciate the clear spirit. Tony Abou-Ganim, the author behind the acclaimed book The Modern Mixologist, takes on vodka in his newest book, Vodka Distilled — and it's the most complete guide to vodka that we've found. 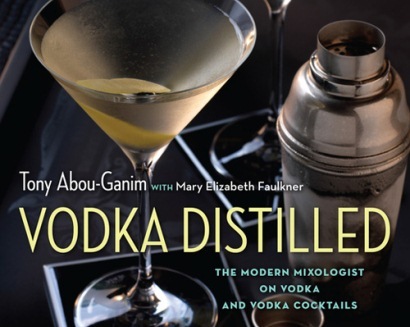 Abou-Ganim not only explores the long history of vodka, he shares how to best drink it, how to pair it with food (yes, really), and how to mix it into cocktails. That, on top of a detailed profile of 58 vodkas, makes this the vodka bible. We spoke with Abou-Ganim to get his take on vodka, find out what his favorite vodka cocktail is, and learn how to truly appreciate the spirit. 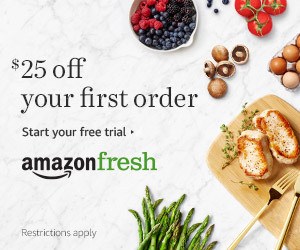 The Daily Meal: This is your first book since The Modern Mixologist. Why look at vodka now? And why do you think vodka has gotten a bad rap in recent years? Tony Abou-Ganim: I asked myself that question when decided to write that book, because we looked at what would be the follow-up to Modern Mixologist. We decided to follow up with a guide to each spirit, and I wanted to start with vodka. I started with vodka because the book is both for consumers and for trade. On the consumer side, vodka is the number one consumed spirit in the U.S. by far. I believe that there's still a great misunderstanding as to what vodka is. So I wanted to write a book on its appreciation, to its understanding, and ultimately to the enjoyment of vodka. My dear friend Charlotte Voisey once said, "With greater knowledge comes deeper enjoyment," and I truly believe that this pertains to the vodka category more than any other spirit. So I wanted to write for the consumer, to encourage them to better understand vodka, and to better enjoy vodka. It's a lot of how you consume it — vodka catapulted in popularity because of its mixability; it's very easy to mix with. As a bartender, mixing drinks is a big part of what I do. But I wanted to show a new love of vodka for vodka's sake; a glass of frozen vodka straight from the freezer is one of life's greatest pleasures. A custom we don't embrace in this country is that of enjoying vodka paired with food. When I was researching the book in Sweden, Copenhagen, and Poland, we'd go for lunch or dinner, and instead of wine you were served a glass or bottle of vodka. It was so wonderful. So I wanted to shed a little light of that view. Then, as a professional bartender, I was really frustrated with the way our profession has viewed vodka over the last few years. They've really discredited [it], snubbed their nose at it, and I couldn't really understand why. Again, it is one of the oldest spirits around, with a great legacy. I think it's when we go back and look at the resurgence of the craft and Prohibition-era drinks — during that period of time vodka didn't exist in this country. And I often wonder had vodka existed, would the bartenders of that era, the ones we're trying to emulate today, would they have ultimately worked in vodka? I don't know why they wouldn't. Again, when cocktails were created, we knew nothing of vodka. So I was at a bar the other day, and I asked about the vodkas to the bartender. He said, "We have two, and in my opinion that's two too many." I was like, you're 24 years old, you don't know where this is coming from, but you just insulted me as a guest to your bar. I know you may want to make your last words of forgotten cocktails, but I think that the Cosmopolitan, when made with good ingredients, is a fabulous cocktail. Ultimately we're in the hospitality industry, and we're in it to give them a great experience. Vodka, in my opinion, deserves its right place at the bar, next to the gin and the rye whiskey. TDM: Were you surprised by anything you discovered when researching vodkas? TAG: I was surprised by how fabulous vodka is with foie gras, sea salt, and crostini. With a frozen vodka, wow! I guess I was surprised by how much I enjoyed drinking it by itself, and how well it paired with food. Historically, it was [drunk during] those long, cold winters [in Poland and Eastern Europe, where vodka is made] so it was vodka, not wine, paired with food. Those kinds of food were smoked, brined, and pickled, to get through the winter. That's the type of food that lends itself so beautifully to vodka. If there's a greater food and drink pairing than caviar and vodka, I have not discovered it. TDM: Most people assume that vodka doesn’t have much flavor, but you give such good tasting notes on the vodkas with so many characteristics for each. What can you tell our novice vodka drinkers about the taste and flavors of vodkas? TAG: I wanted to do away with that myth that all vodkas are the same. The differences are sometimes subtle and, as I discovered, sometimes not that subtle. Stylistically I broke it into Old World and New World, which has to do a lot with the character. You get the classic style, big, robust, rich, powerful vodkas in the Old World; and as vodka began its journey west, it became a little more feminine, approachable, subtle. Ultimately, a distilled spirit should represent the raw materials that it's fashioned from, so a rye-based vodka should be spicy and robust; potato will be more hibiscus, vegetable-y, oily; a wheat will be yeasty, and grainy, with a douch character you won't find in a potato vodka. Again, I wanted to do away with [the myth] that vodkas are the same. As with many things in life, we buy vodka in advertising — every vodka in the book is great. I started with 100 and ended with 68. Any one of these vodkas is one I'd recommend and serve to guests. There are lots of ways to define a vodka, and price isn't always the best indicator of quality. Ultimately, I didn't want to rate the vodkas or give them any type of score. I had a fabulous panelist of tasters, and we did judge them on our own — but who am I to tell you what you like and shouldn't like? All of these are premium spirits; maybe they won't be to everyone's likings, but ultimately only you can decide which one you like best. TDM: How do you recommend tasting vodkas for novice vodka drinkers? TAG: When I host a tastings, I do one from each category: wheat, rye, potato, grape, etc. And really the best way to do it is blind. It's kind of fun to host it in your own home, because you can control it better. Get some nosing glasses with a 3- to 4-ounce pour; I like it at room temperature on its own, and right out of the freezer with food so you can watch it as it reveals its subtleties. If you want to better your education on it, go to a good bar with a good selection. A knowledgeable bartender will help you along. TDM: What are your feelings on flavored vodkas? TAG: The vodka industry has done itself a bit of a disservice by launching every flavor from our childhood, from Froot Loops to marshmallows, into vodka form — and you’ll notice in the book I don’t touch on them at all. I wouldn’t have even known where to begin with that. There are some fabulous flavored vodkas out there that are made traditionally, but I wanted to create an awareness to hopefully to get rid of pretentiousness toward the straight vodka category itself. The fabulous flavored vodkas out there — you can do a lot of research on that. You can almost make a case that gin was the first flavored vodka, as it has those great botanical, juniper, and coriander flavors. A great citrus vodka, made with lemon and orange peels, in that traditional style, is going to be a great spirit. If it's done in a lab, probably not so much. The nice thing, too, about flavored vodkas is that with infusions, you're making your own flavors — you can control what you're doing. Put a vanilla bean in a bottle of vodka, let it sit for a week, and you get a nice vanilla flavored vodka. You can have fun flavoring your own vodka. TDM: What's your favorite vodka cocktail? TAG: It's one that I created myself, in the book, called The Wizard. I set out with the intention of mapping the vodka, and wanted to bring out that complexity in a drink I love: yellow chartreuse. It's a very overlooked ingredient for cocktails. Then we have bianco vermouth and orange bitters. Especially with vodka or gin, the herbal characteristics of yellow chartreuse go well with it. I'm mixing that drink a lot, not only for my own consumption but just now in South Beach; I'll do it again next month in Tucson. I'm also a huge fan of sangria, so I made a pink sangria. It's the official drink of the book tour, as well as the Helen David Relief Fund for breast cancer. I'll do that for a luncheon for the charity. Again, it's all about a deeper understanding and appreciation for vodka — it's not just for screw drivers and Cape Cods.